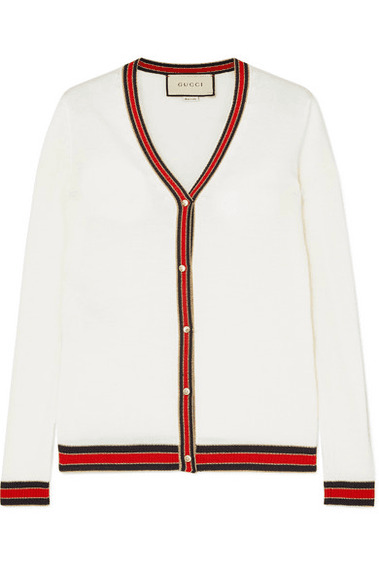 While Gucci's signature cardigans are instantly recognizable by the iconic Web accents, Alessandro Michele manages to make them feel so fresh each season. This version is spun from soft wool with trims woven with metallic fibers to add subtle shimmer to the heritage stripes. The faux pearl buttons complement the ivory hue so nicely.